Hello there! It’s theme week at 52 Christmas Card Throwdown. 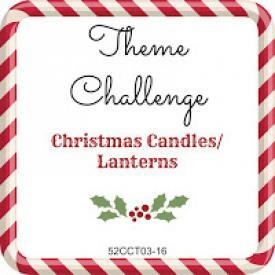 This week, we’d like to see your Christmas cards featuring candles or lanterns. For my card, I printed off a digital image of a candle with holly, and colored it with markers. I used the current CAS(E) this Sketch! challenge for the layout of my card. 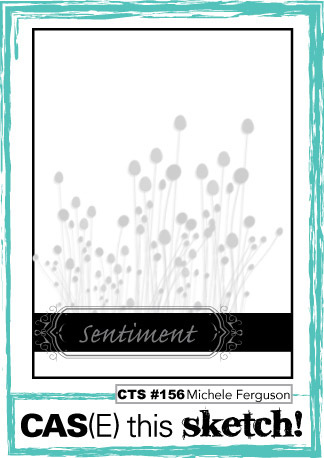 The main panel of the card is attached to the card base with dimensional adhesive to help accommodate the thickness of the ribbon and the backs of the brads holding the sentiment frame. I also wanted to play along in the current “3-2-1” challenge at Shopping Our Stash, so I’ve used 3 metal embellishments (the frame and two brads), 2 words in the sentiment, and 1 ribbon. Because I colored the image with markers, I can submit this card to the “Make Your Mark” challenge at Addicted to Stamps and More, too. Be sure to check out what the rest of the 52CCT design team has made. Then share your own card with us at the challenge site. You have until 7:00 p.m. Eastern time Friday, January 29 to link your card. Thanks for stopping by today! 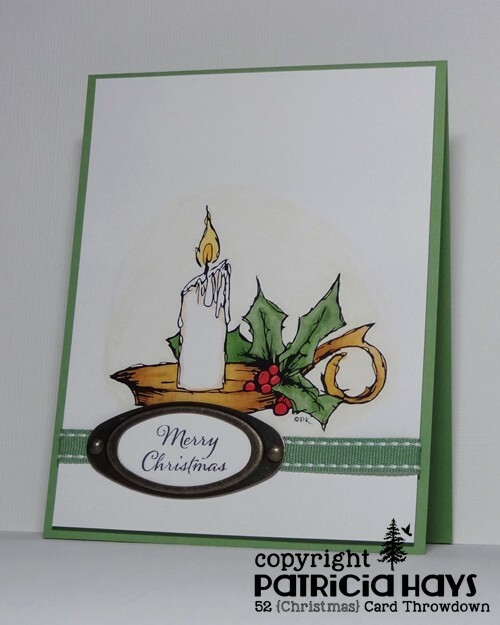 Wonderful colouring with your markers and I love the soft green card base and ribbon. Oh, this is so pretty! I love the metal frame! Wonderful take on the sketch! Fantastic card, love the holly on the candle holder! Thanks for playing along with the SHOPPING OUR STASH crew for our “3-2-1” challenge! Hi Patricia! I think your card is lovely; the image and your soft coloring are beautiful. How much snow did you get? We still can’t get our cars out.